The debate surrounding who should be the NFL’s MVP – Adrian Peterson or Payton Manning – can be decided by the two most overused words in the NFL lexicon: Tim Tebow. He barely threw a pass this season and only ran with the ball a few more times, but Tebow is the reason Peterson should win the MVP. The Vikings were not good last year, in fact, they were awful finishing the season with a record of 3-13, good enough for last place in the NFC North. Peterson started 12 of those games racking up 970 yards and 12 touchdowns. This season, AP produced a season in which he amassed the second-highest total rushing yards in league history (2,097) and did the bulk of it in December, helping the Vikings get into the playoffs with a record of 10-6. With a 6-5 record heading into Dec., the Vikings – on the back of Peterson – posted a 4-1 record and recorded wins against two of the NFL’s elite in the Houston Texans and Green Bay Packers as well as division rival Chicago. In that five-game stretch, Peterson amassed 861 yards, 41 per cent of his season rushing total, and five touchdowns. When it matter most, Peterson was the most valuable player in the league. Peyton Manning was fantastic this season, leading his brand new team – the Denver Broncos – to a second-consecutive AFC West title. 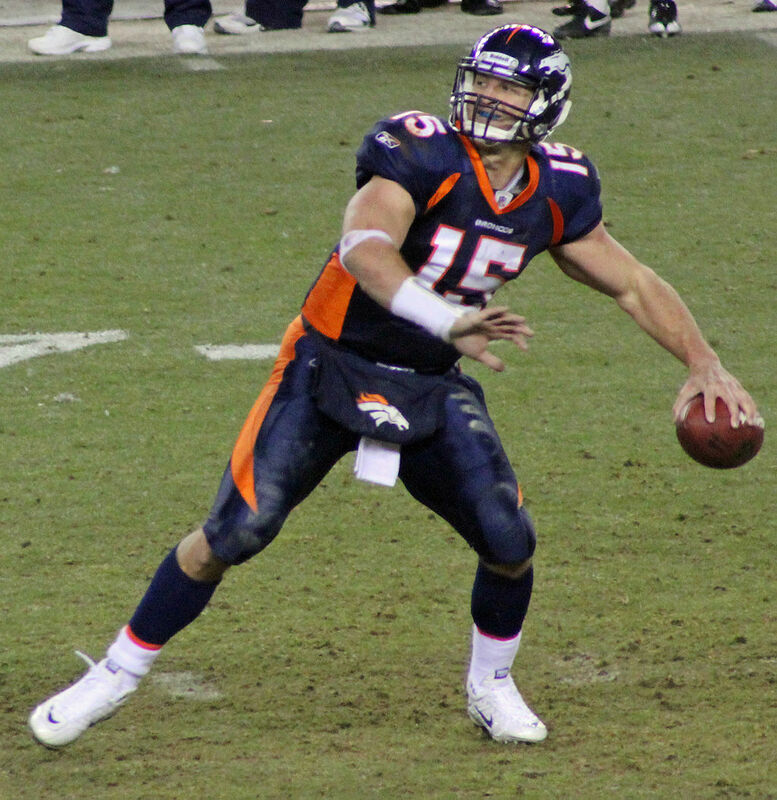 This is where the problem lies for Manning’s MVP candidacy, the guy who led the Broncos to last season’s division title – Tim Tebow. The guy who Rex Ryan didn’t believe was better than Mark Sanchez, Greg McElroy or even Joe McKnight, took essentially the same team as Manning to the playoffs. Without Manning and with a guy not many people believe can play quarterback in the NFL, the team still makes the playoffs. Without Peterson’s historic season, the Vikings are hard-pressed to win a game. Even strength of schedule (based on final records) favours the Vikings. The winning percentage of teams faced by the Broncos was .450 (117-139) while the Vikings faced a schedule with a .510 winning percentage (132-122-2). The Broncos faced five teams with a winning-record while the Vikings faced nine. The Broncos won two games versus teams above .500, the Vikings won four. Both players came back from what could have been career-ending injuries, so that’s a wash. Manning put up the second-best season of his career. Peterson put up the second best season ever by a running back. Peterson did this against stiff competition and in the division with the highest overall winning percentage. Manning did it against mostly sub-.500 teams and the weakest division in the NFL. Without the season of Peterson, the Vikings would have stopped playing meaningful games in late Oct. Without Manning, the Broncos make the playoffs.